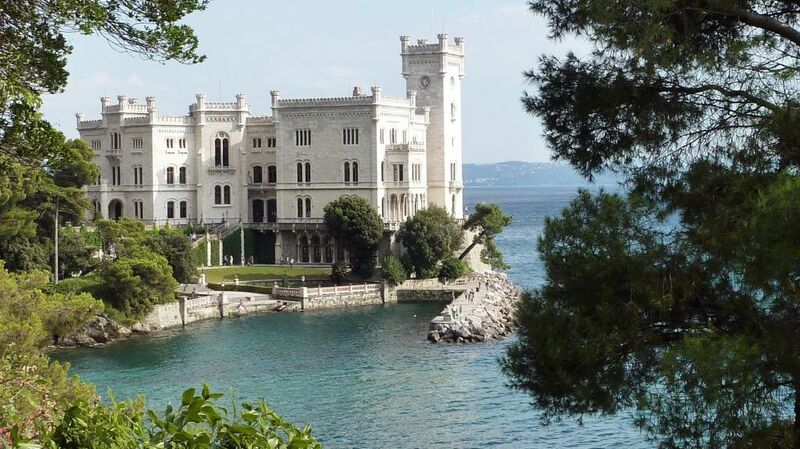 The Castle of Miramare in Trieste overlooks the sea and has a massive park filled with rare and exotic plant species. Home, for a time, to Habsburg’s Archduke Ferdinand Maximilian, brother to Emperor Franz Joseph, and his wife, the lovely Charlotte of Belgium, this magnificent structure offers a stunning view of the small bay. Unfortunately for the two young lovers, they were only able to revel in their beautiful home only for four years before leaving for Mexico, where the Archduke was crowned Emperor Maximilian of Mexico. He ended up being executed by firing squad soon after, bringing the romantic tale of the two young lovers to a brutal end. The castle, however, still maintains its grandeur to this day. Both the castle and the surrounding park are a marvelous example of 19th-century aristocratic splendor. The castle still has all of the original interior furnishings, and the park has many of the plants brought back by Maximilian himself from scientific expeditions around the world. The gorgeous building and park, together with the accompanying tale of the young imperial couple’s sad, romantic love still fascinates visitors from all over the world to this day. 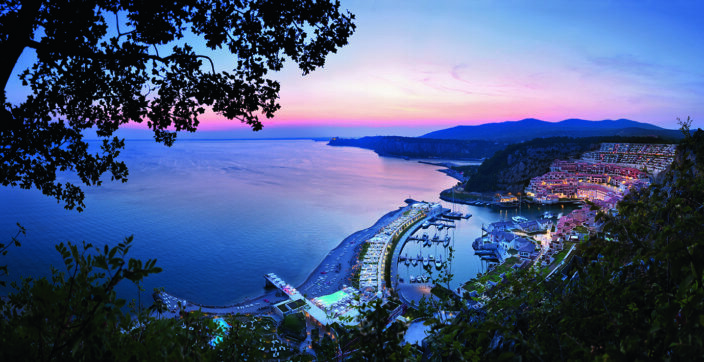 It’s no wonder the Castle of Miramare in Trieste is among the most visited Europe destinations. The legend of the ‘curse of Castle Miramare’, as it is known, came about after the death of Maximilian in Mexico. After three years on the throne as Emperor of Mexico, Maximilian was taken prisoner by Juarez’s Republican troops and shot a month later, at the young age of 34. It is said that his wife slowly went mad afterward, and spent the rest of her days in seclusion being cared for by her brother. After she died, it was said that her spirit walked the grounds, calling his name. Many say that it continues to do so to this very day! 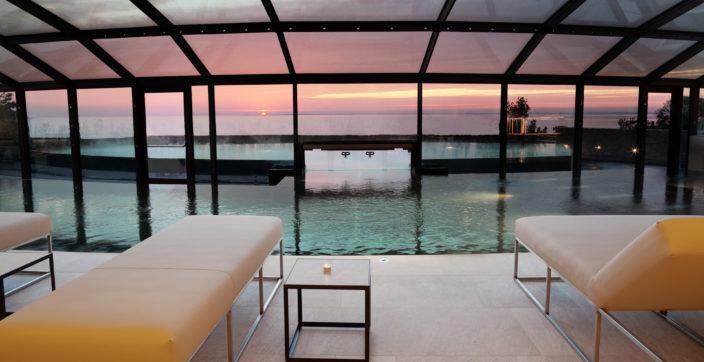 The legend also says that the Castle of Miramare itself is cursed and that anyone who sleeps there is destined to die young, and violently, in a foreign land. Despite the curse, it is quite safe to take a day trip to the castle to explore the 20 rooms that are still furnished with original furnishings of the ill-fated couple. Although photos are not allowed within the castle, you’ll still come away with a lot of beautiful unforgettable memories of the lavish interior and the lush, immaculately groomed gardens. Elizabeth, Empress of Austria and wife to Franz Joseph, was a scandalous, splendid woman, well known for her beauty and charm. Nicknamed ‘Sissi’, she was free-spirited and a rebel at heart. Charlotte was jealous of her sister-in-law, and being the ambitious woman she was, Charlotte plotted and schemed until she managed to get her husband to be crowned Emperor of Mexico by a delegation of Mexican noblemen. Had she known how Sissi’s life would turn out, she wouldn’t have acted on such jealous impulse which ultimately led to her husband’s demise! Life was not very kind to Princess Sissi, who many believe was born a century too soon! Not only did she tragically lose a daughter, but her son, Crown Prince Rudolf was murdered alongside his mistress. She later lost her own life after being stabbed while on a walk, leaving a devastated husband and two daughters behind. Such is the tragic, heartbreaking tale of Princess Sissi that you will discover on your next visit to the Castle of Miramare.